Load up on the original at a great price. You can't beat the classics. And Speer's first handgun ammo line is still here for you. Made with quality Speer TMJ® bullets and famously-reliable CCI® primers. Powders are precision matched to bullet performance level. 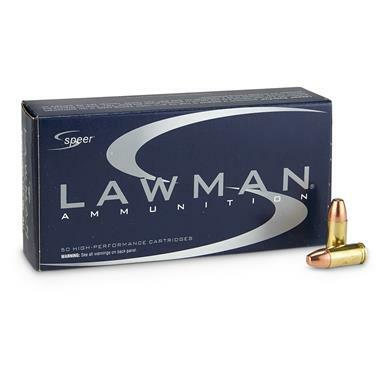 Speer Lawman, 9mm, TMJ FN, 147 Grain, 50 Rounds is rated 4.9 out of 5 by 45. Rated 5 out of 5 by Gator from Economical, devastating. IMHO! Best round fer the money for a short barrel revolver! Rated 5 out of 5 by summerplumber from good stuff I finally got to go use this ammo. 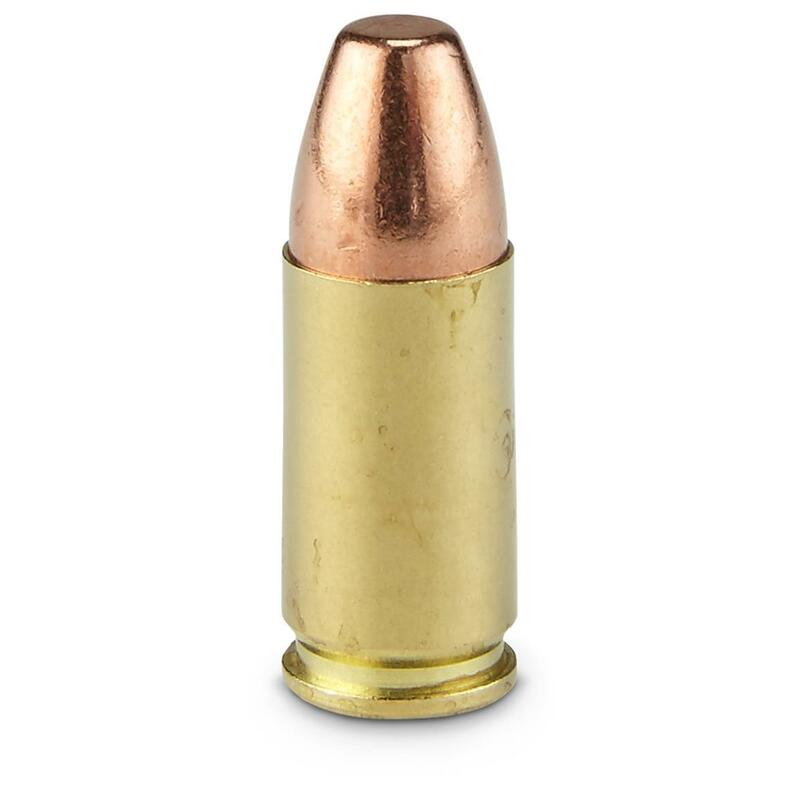 Nice ammo, clean ,accurate, great price for 147gr. No problems with it at all. Fast shipping from SG. What more could you ask for? Rated 5 out of 5 by KenL from problem free I purchased this for a CZ75SA custom 9mm that I use in bullseye competition. Recoil is a nice soft push. fired 30 rounds from a rest with 25yds averaging around 1.5" 3 shot groups. Rated 5 out of 5 by Frank from Great product at a great price! Very accurate and clean burning ammo. Super fast shipping and great price as usual. Rated 5 out of 5 by Jeff from Great ammo Very nice ammo. The recoil is mild and it it's very consistent through my M&P. Good, clean, reasonably priced ammo. Designed to exceed the rigorous demands of law enforcement.